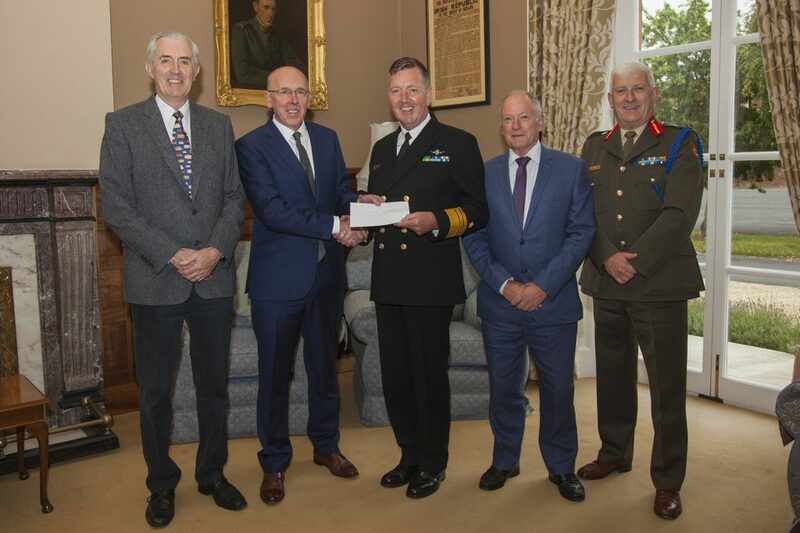 On Tuesday, 29th August 2017 the President of ARCO, Cmdr Gerard O’Flynn (Retd) presented the Chief of Staff, Vice Admiral Mark Mellett, with a contribution of €2,000 towards the Defence Forces Benevolent Fund on behalf of the members of ARCO at the Officers Mess, McKee Barracks. Cmdr O’Flynn was accompanied by Col George Kerton (Retd), Vice President, and Lt Col Richard Cummins (Retd),Treasurer. 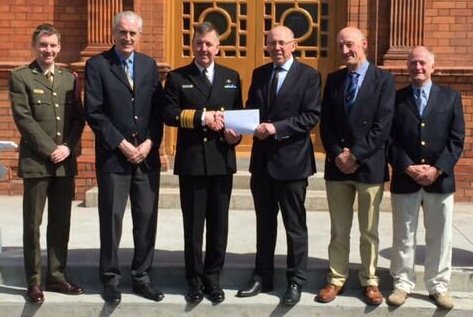 Vice Admiral Mellett was accompanied by the Assistant Chief of Staff (Support), Brig Gen Peter O’Halloran. An information meeting for ARCO members will take place in the Officers’ Mess, Cathal Brugha Barracks, at 1130 hrs on Friday, 17 June. Coffee will be available from 1100 hrs. The Executive Committee will update members on matters of broad interest in relation to Association matters. Please indicate your intention to attend, by return, to arcoreply@eircom.net or by text only to the ARCO Texting Service at 087 9097860. A light lunch will be provided by ARCO. Please ensure you bring your ID Card with you to gain entry to Cathal Brugha Barracks. 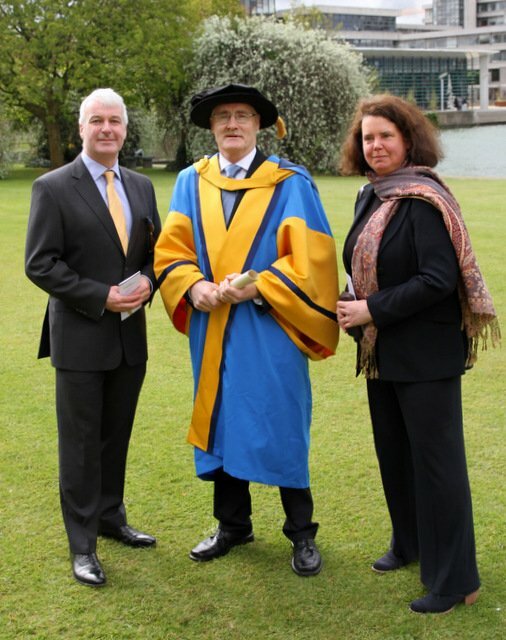 Congratulations to Commandant Victor Laing, formerly officer in charge of Military Archives, who was conferred with the Degree, Honoris Causa, of Doctor of Laws by University College Dublin on Monday, 25 April 2016. 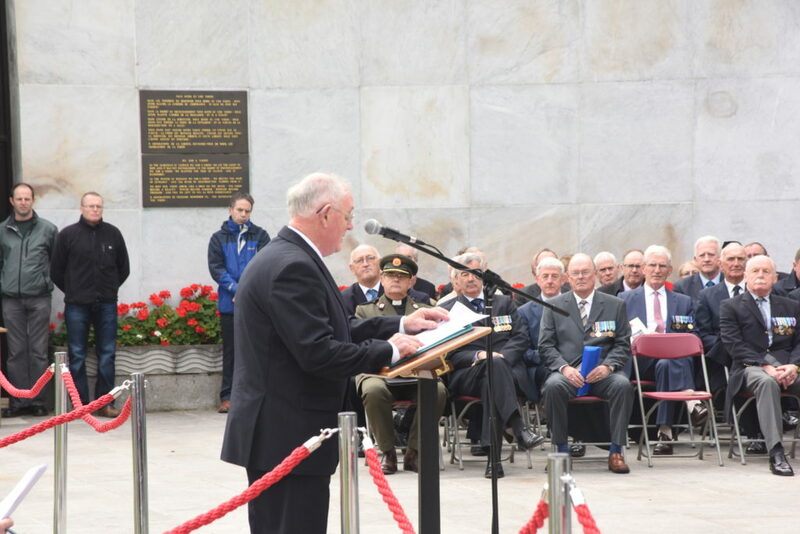 The ceremony was part of UCD’s celebration of the Decade of Centenaries. Those who were also conferred with honorary degrees on this special occasion were: Ms Catriona Crowe, Professor Roy Foster, Mr Justice Gerard Hogan, Professor Joe Lee and Professor Michael Mann. 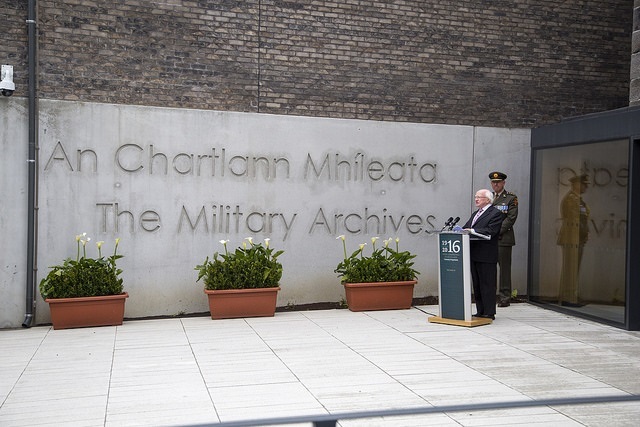 On the following day Uachtarán na hÉireann, Dr Michael D. Higgins, opened the newly refurbished Military Archives facility at Cathal Brugha Barracks. 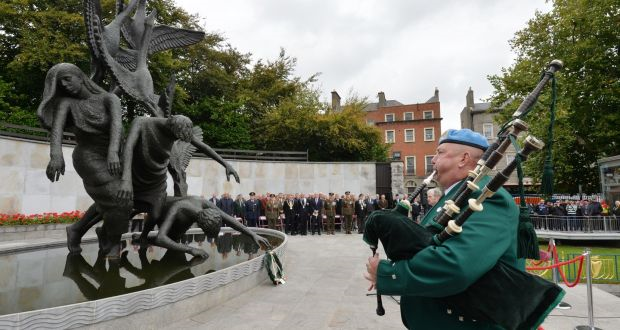 This represents one of the seven Government flagship capital projects being developed for the 1916 centenary. The project is a tribute to the dedication of Victor Laing, the late Commandant Peter Young and the staff and volunteers who have worked in Military Archives over the years. 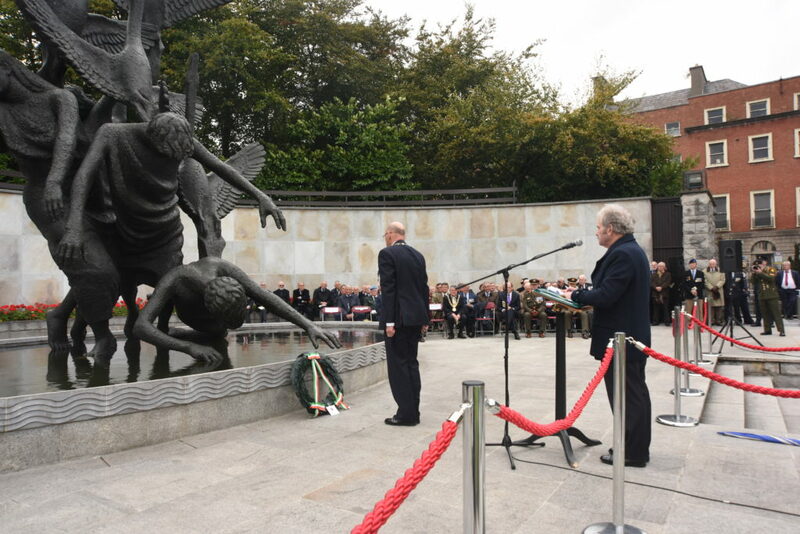 In order to commemorate the centenary of the 1916 Easter Rising, and to contribute to the process of national reflection that is currently in progress, the Defence Forces, in conjunction with the Centre for Military History and Strategic Studies at Maynooth University and the Trinity College Dublin Centre for Contemporary Irish History, will host a one-day conference in Dublin Castle on 15 October 2016 with the aim of exploring the ‘Emergence of Modern Ireland, 1912-2016’. The conference will explore political, social, economic and cultural developments in Irish history from the Home Rule crisis to the present day with a particular focus on military matters, including the history of the Defence Forces, and on the evolution of Irish foreign policy. 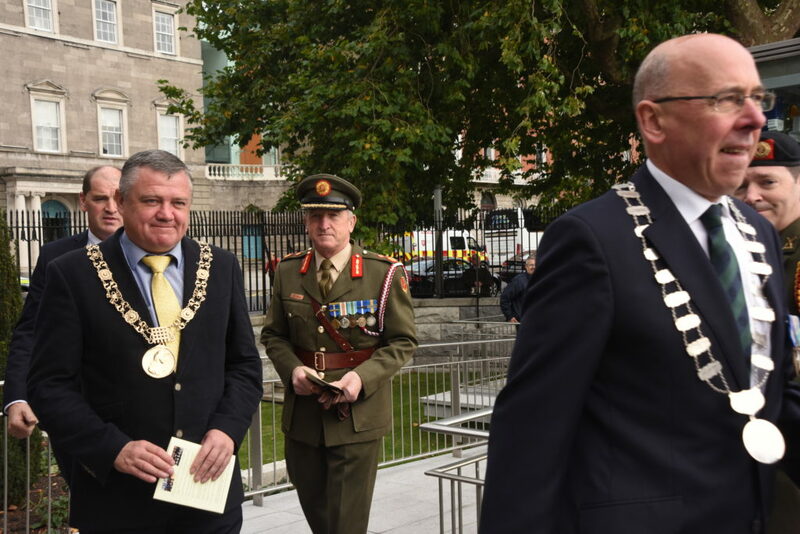 Proposals are welcomed for papers that address any of these topics and contributions are encouraged from academia and also from within the Defence Forces and from Veterans' groups. Selected papers (c.3000 words) will be published in an expanded edition of the annual Defence Forces Review, copies of which will be available in traditional format and also online via the Defence Forces' website. Those wishing to contribute to this publication must submit their completed paper (c.3000 words) to the conference organisers by 30 June 2016. Organisers: Prof. Eunan O’Halpin (Trinity College Dublin), Dr. Ian Speller (Maynooth University) & Colonel David Dignam (Military College). Abstracts (250 words) for 20 minute papers should be accompanied by a brief CV and sent to Col Dave Dignam at david.dignam@defenceforces.ie by 31 March 2016. Please indicate whether you also intend submitting a full paper (c.3000 words) for publication in the Defence Forces Review. Relate, the journal on developments in social services, policy and legislation in Ireland, is published by the Citizens Information Board. The February issue of Relate provides an overview of things people may need to know if they are planning to get married, including: notification requirements, types of legal ceremony and registration of the marriage. Relate, the journal on developments in social services, policy and legislation in Ireland, is published by the Citizens Information Board. The December Issue of Relate provides an overview of things you may need to know after a bereavement, including arranging the funeral, accessing money, claiming social welfare payments and administering the deceased person’s estate. 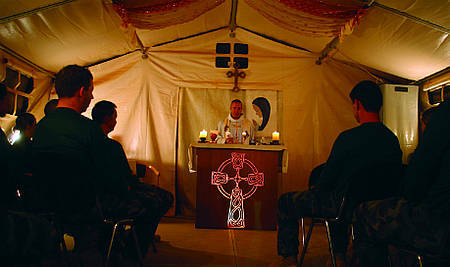 The President and members of the Executive Committee of the Association of Retired Commissioned Officers wish all members of the association and of the Defence Forces, serving both at home and overseas, a very happy Christmas and a contented and peaceful New Year.